Emerald Tree Service is a locally owned business based out of the greater Seattle area. 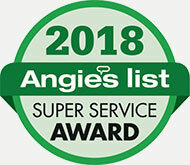 Our #1 priority is your safety and making sure our customers are satisfied and treated with the utmost respect from our team. 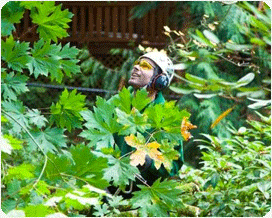 For over 15 years, Emerald Tree Service has provided the Seattle area with tree services of all kinds. 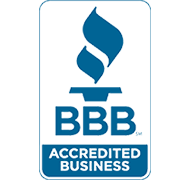 We are a BBB Accredited business and we are ISA Certified. We provide professional, fast, and top quality tree services to Seattle, Bellevue and Mercer Island. Why choose an ISA Certified Arborist? An Arborist specializes in the care your plant life. We understand how to properly manage trees, shrubs and other plants to ensure they are healthy. An Arborist certified by the Internation Society of Arboriculture (ISA) is professionally trained to care and evaluate every tree or bush on a case by case basis. To be ISA Certified, all arborists must pass a comprehensive exam, have a minimum of three years of tree service experience, and continually participate in ongoing education in arboriculture techniques and improvements. Both the owner and the crew are trained arborists ready to help you with your tree service needs. Talk to a trained arborist at (206) 726-0668 today. Emerald Tree Service will help you ensure your trees are properly cared for and your property is protected. We are equipped and ready to handle the full range of tree care, from large jobs requiring crane services to fine pruning of your trees and shrubs. If you have limited access space, our trucks, chippers and stump grinding equipment are able to maneuver in tight spaces. We have an experienced and qualified team of tree specialists to work with you to meet your landscaping needs. Request a Free Tree Service Estimate!